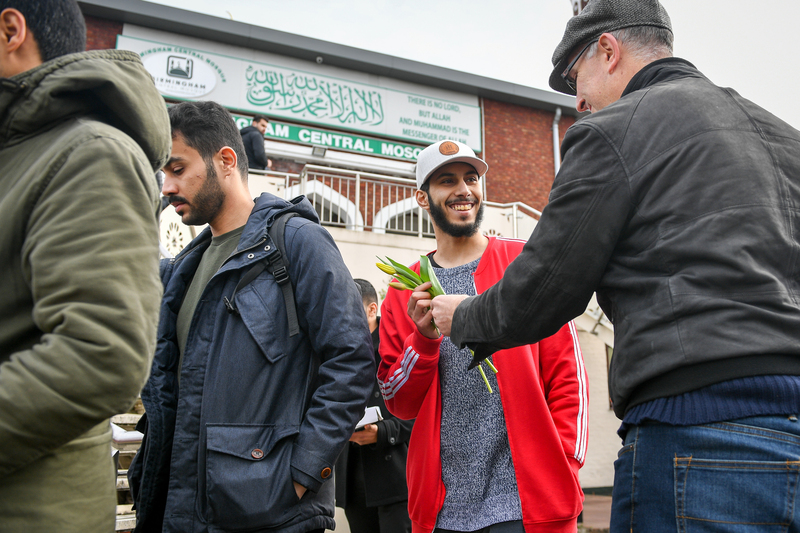 Christians James Lynch, left, and Marcus Kapers from Riverside Church, who are handing out flowers to Muslims as they leave Birmingham Central Mosque after the attack on the Mosque in Christchurch, New Zealand. Two Christians have been giving out flowers at a Birmingham mosque in a show of support for the victims of shootings at two mosques in Christchurch, New Zealand. 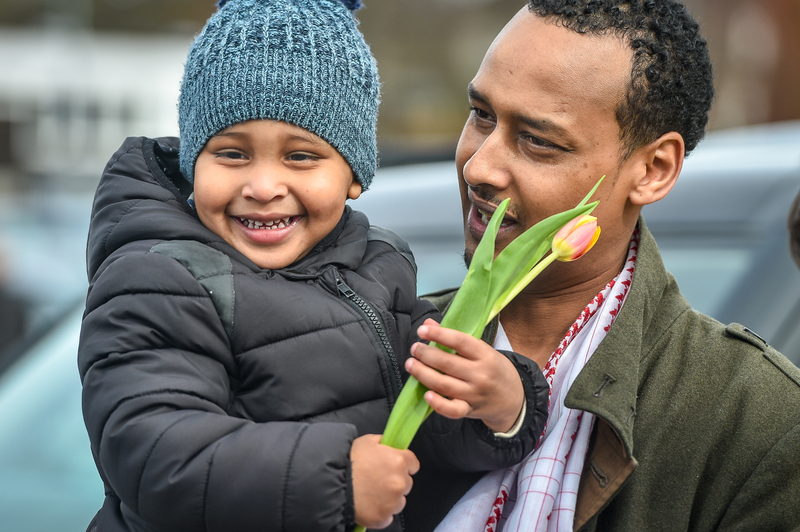 James Lynch and Marcus Kapers of Riverside Church gave out flowers to worshippers as they left Birmingham Central Mosque after the terror attack that killed 49 people and injured at least 20 others. Right-wing extremist Brenton Tarrant, 28, has been charged with murder after opening fire on worshippers attending Friday prayers. World leaders have sent messages of condolence to the victims and their families. The Queen stated that she had been “saddened by the appalling events”. In a separate show of support, a fundraiser for the victims of the shooting at two mosques in Christchurch raised more than 380,000 New Zealand dollars (£197,000) within hours of the tragedy. Created by New Zealand charity Victim Support, the appeal had over 6,000 donors at 2am local time, after a press release was issued at around 9.40pm the previous night.